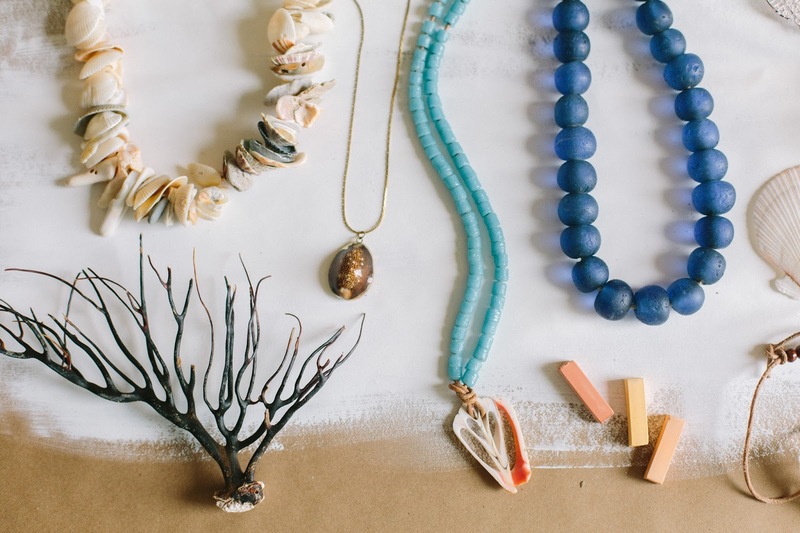 I am so ridiculously excited to officially launch my jewelry line "Sand in My Sheets" for The Pelican Gallery this week! 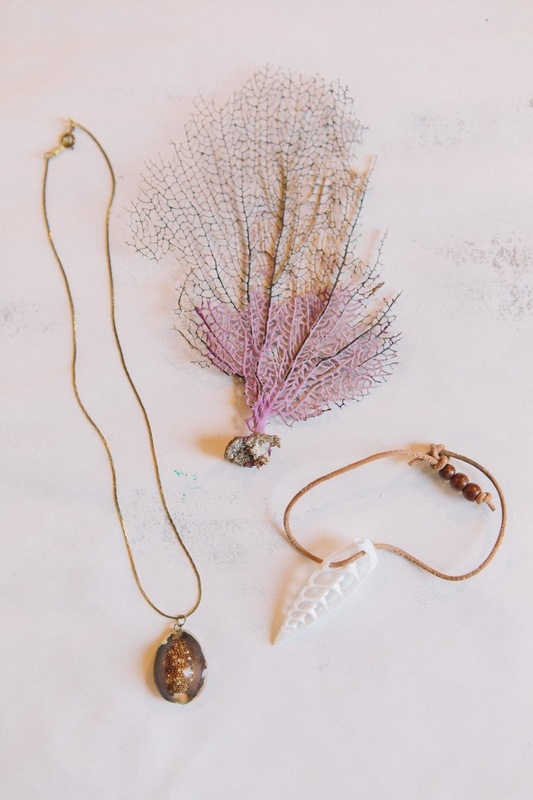 I have been making and creating and dreaming of this jewelry and each piece for over two years! 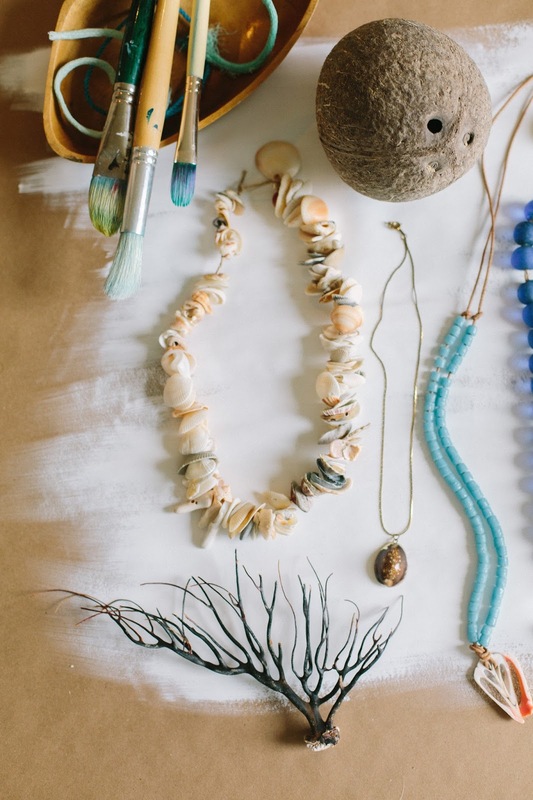 I've collected materials from all over the world on my travels the past few years including: Malawi, Fiji, Colombia, Puerto Rico, Florida, and California. 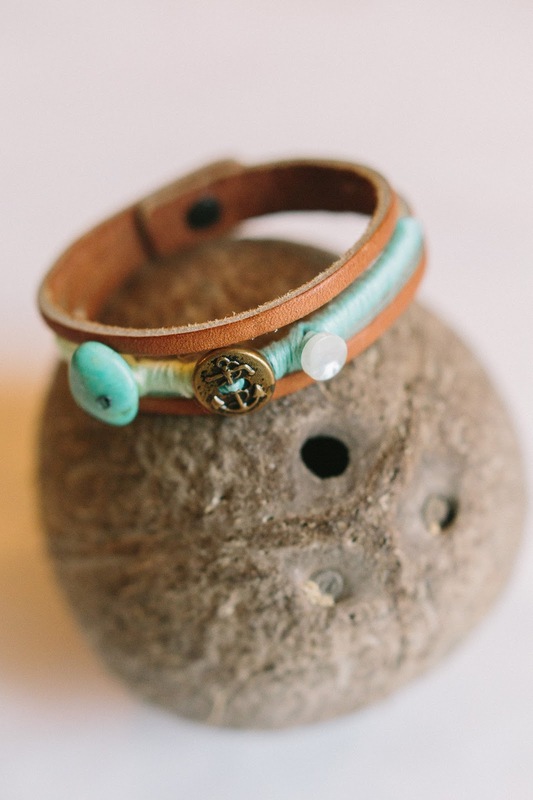 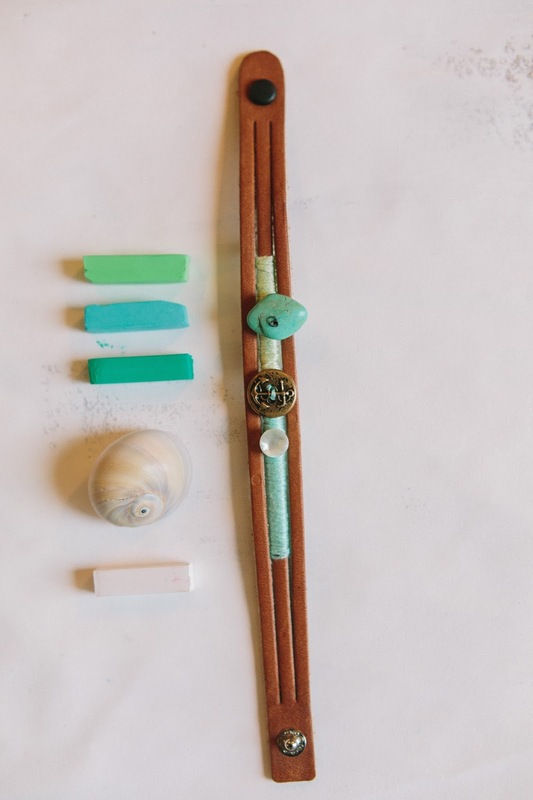 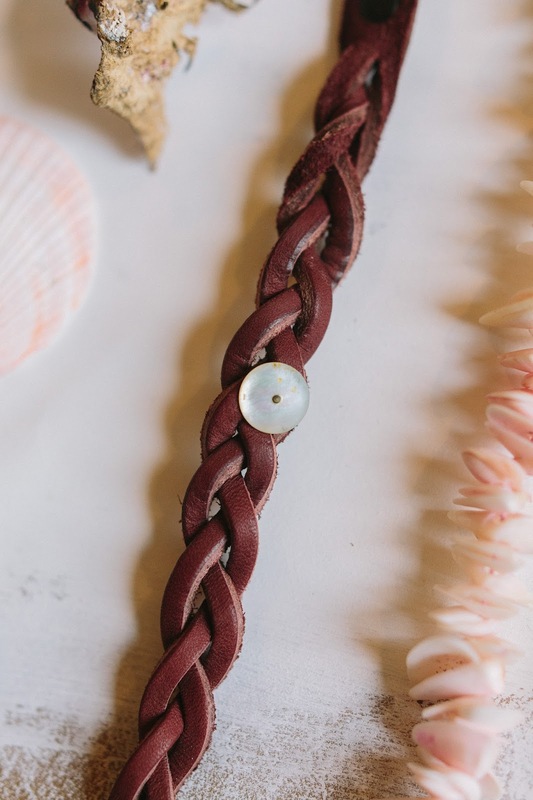 I chose to use organic materials such as leather, seashells, and glass beads because that's what I personally love to wear myself! 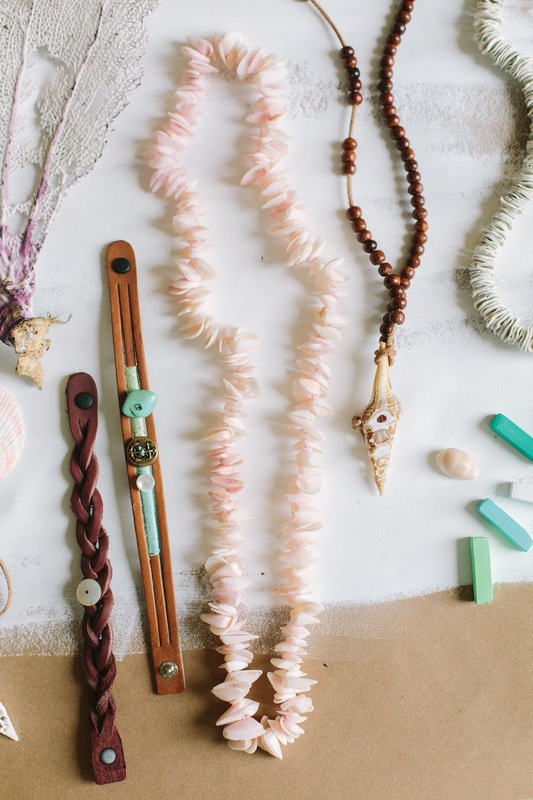 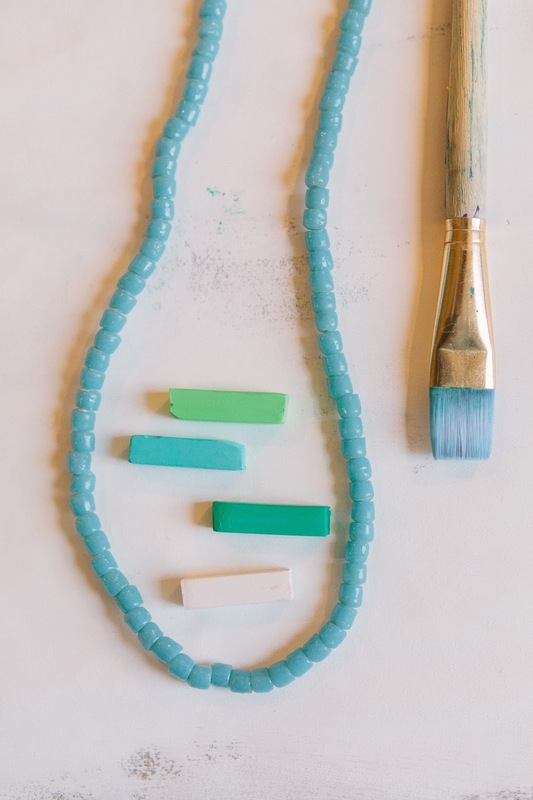 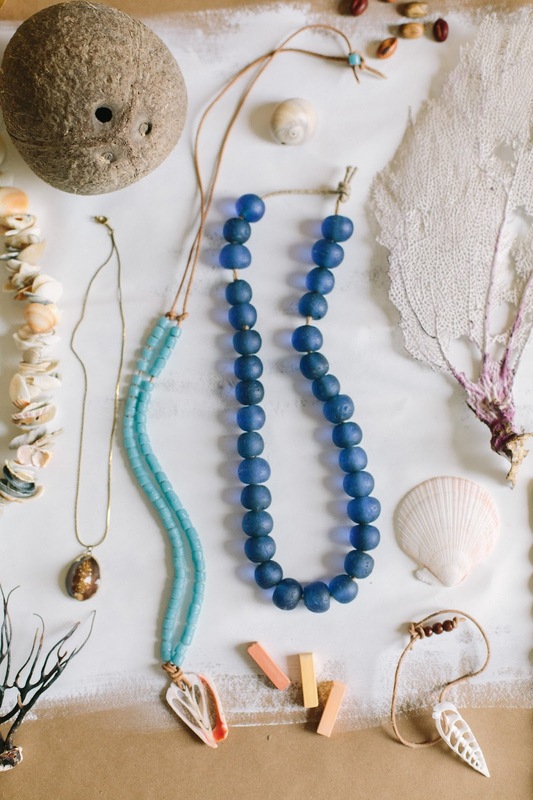 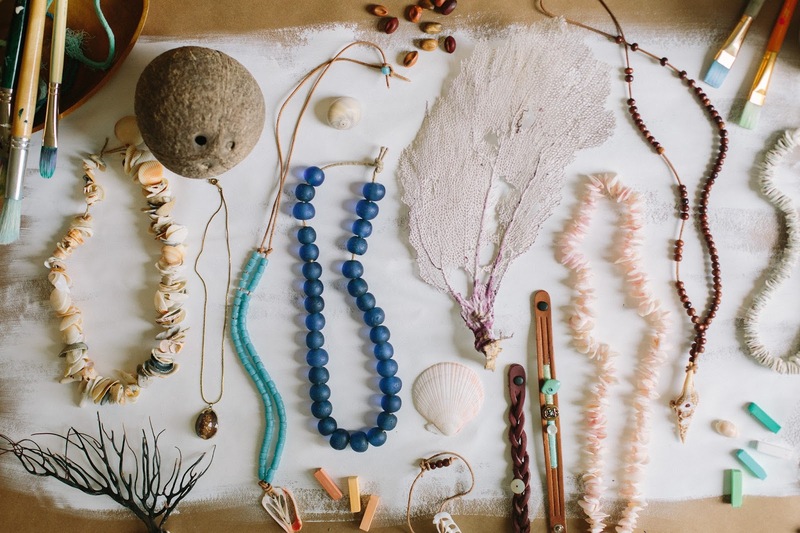 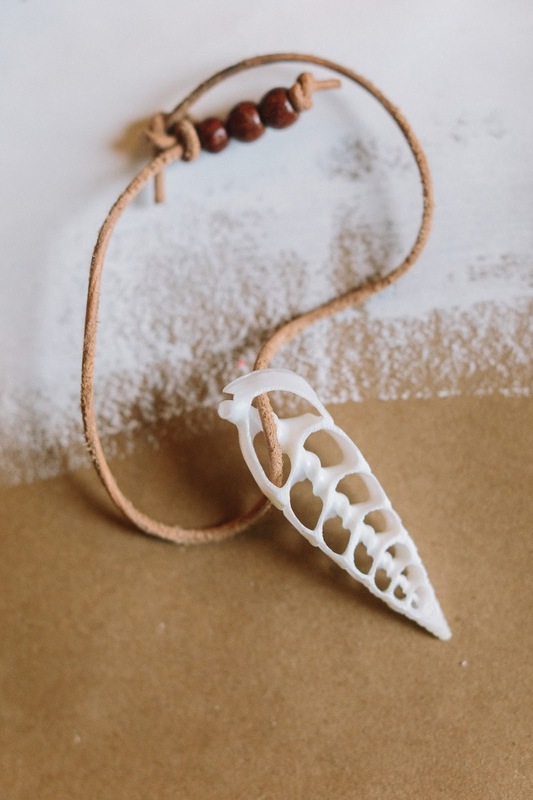 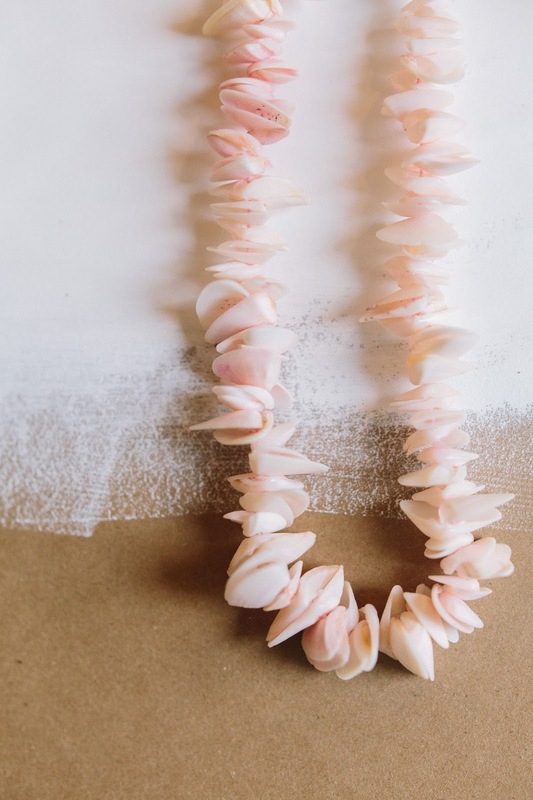 The name of the jewelry line "Sand in My Sheets" is inspired by life along the coast and stems from a personal desire to own and wear jewelry that I could not only wear to work at the office, but also at the beach, in the ocean, and out with my sundresses on hot summer nights! 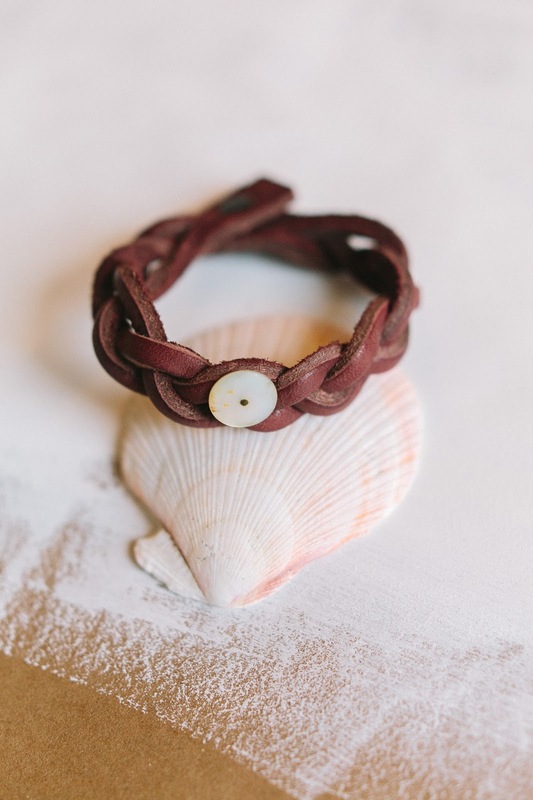 The materials will age beautifully and remain strong as they are worn and exposed to fresh air, sunshine, and salt from sweat or swimming. 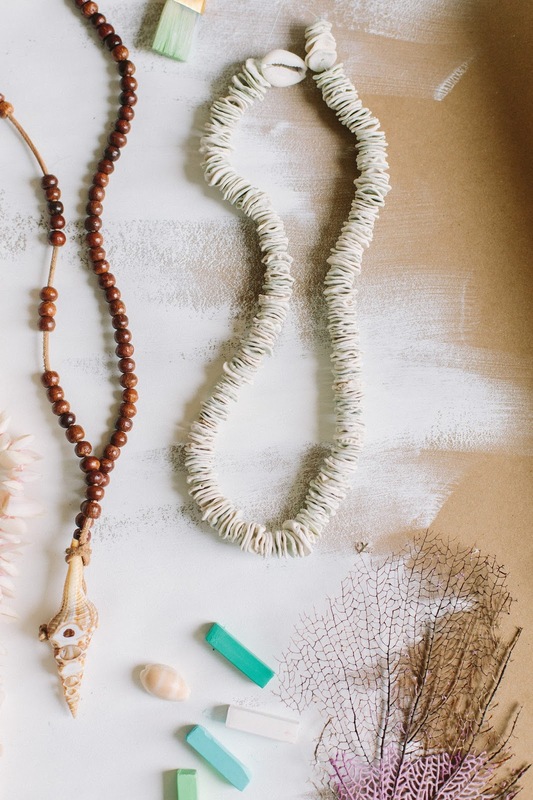 These necklaces and bracelets are meant to be "lived in"! 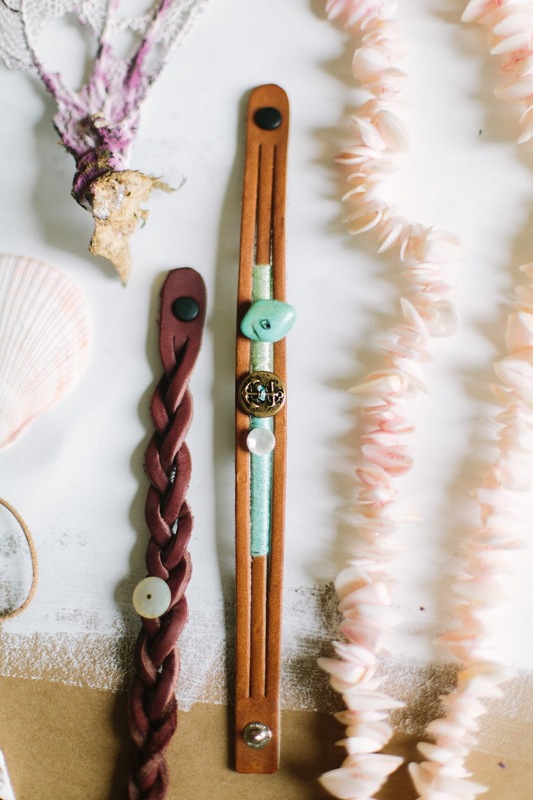 I adore the natural tones of this collection as a whole as they go with almost any outfit. 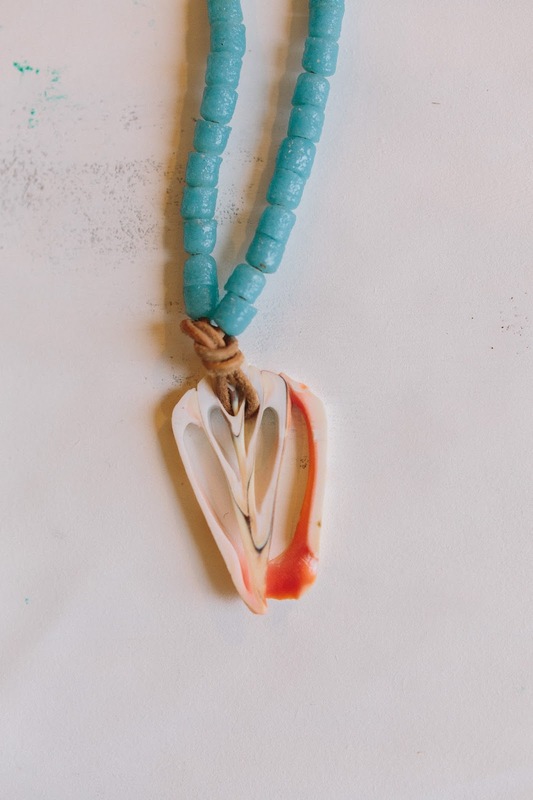 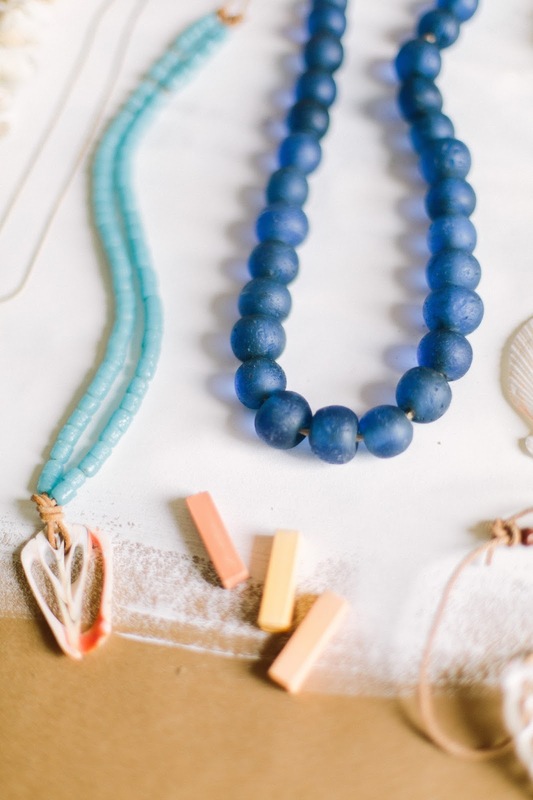 You can shop the entire collection online at The Pelican Gallery Shop OR check out these beautiful pieces that will be available for purchase at the Grand Opening on June 4!